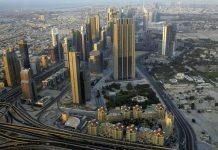 The Roads & Transport Authority has finalised preparations of its Operational Plan of Mass Transit Means, which comprises the Dubai Metro, public buses and taxis, as well as the management of traffic movement at sites witnessing events in Dubai during Eid Al Adha holidays. 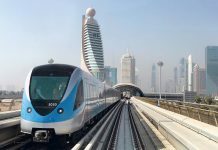 Dubai Metro will operate as per the usual timetables from Saturday to Wednesday, but on October 27 and 28, it will start operation from 5.30am up to 4.00am. During event days, the Metro operation timing on Thursdays will be from 5.30am up to 4.00am, and on Friday from 10.00am up to 4.00am, said Maitha bin Udai, CEO of RTA Traffic & Roads Agency, Head of the Team responsible for Traffic Movement Management and Handling Operational Plans during Official & Annual Events. About 85,880 passengers are expected to ride The Metro during the events. The plan has been developed in response to the directives of His Highness Sheikh Mohammed bin Rashid Al Maktoum, Vice-President and Prime Minister of the UAE and Ruler of Dubai, to expand the entertainment and shopping events in Dubai during the Eid-in-Dubai event; which runs for two weeks from October 18 until November 2, 2012. 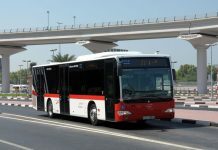 Maitha bin Udai said that the RTA had fully prepared the operational plans for managing traffic movement at the sites of events scheduled to be held in the emirate during Eid holidays. 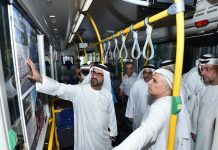 Different types of public transport systems in Dubai will be fully ready to serve passengers during this period, be it the metro, public buses and taxis, she said. “The operational plan set for the event sites in Dubai Mall include using the parking lots in front of the Cinema as well as the parking of the World Trade Center as an option in case the parking of the Dubai Mall are full, provided that directional signage to be provided in place in case of resorting to the latter solution. 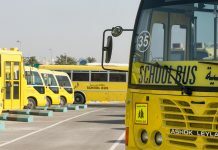 It also comprises the deployment of buses to lift the public to Dubai Mall, providing pick-up and drop-off points for buses & taxis, and beefing up the numbers of feeder buses shuttling between Burj Khalifa and Dubai Mall. “In the Festival City Centre, the RTA will control the light signals in the area as well as Al Rebat Road in order to ease the traffic flow, and a bus route will be opened to lift passengers from the Center to the Emirates Station as an option in case no taxicabs are available. 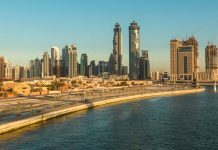 “In Deira City Centre, Mall of the Emirates and Marina Mall, the traffic signals will be controlled and monitored in the area and along Al Rebat Road to ease the traffic flow in case of traffic jams; with a view to operating buses to lift passengers to Emirates Station as an option in case no taxis are available. “In the Creek Park (Water Fun Event), RTA will control the traffic signals on Al Riyadh Road to ease the traffic flow in case of congestions, and provide around 500 additional parking slots at Al-Bom Village in addition to opening a bus route from and to the Entrance of the Park as well as from Oud Metha Station to the Park and vice versa. 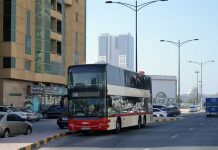 “In Al Seef Road, a bus route will be opened to lift the public from Khalid bin Al Waleed Station and Burjman Center to Al Seef Station and vice versa. In the Heritage Village, around 700 additional parking slots towards Rashid Port will be provided along with dedicated areas for taxis. 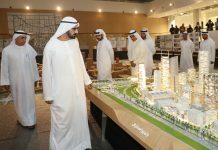 A plan for closing congested roads will be implemented in coordination with the Dubai Police, and traffic signals will be controlled and monitored along Street 312 and Trade Center R/A to ensure the smooth traffic flow in the area which will witness concerts and performances in some grand hotels as well as the Halls of the Dubai World Trade Center,” she continued. “As for buses, Maitha said: Additional routes will be introduced to lift passengers as part of the Traffic Movement Management Plan at key sites. 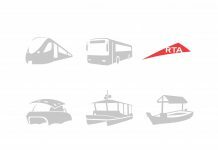 We will operate 23 routes to feed the metro stations to bring up the total number of buses deployed during the events to 108 buses expected to serve 20,652 passengers during this period.